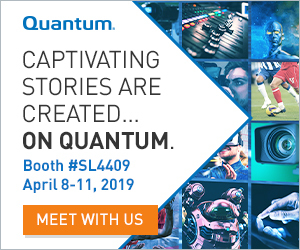 At NAB Show New York 2018, Telestream (booth N.325), a leading provider of digital media tools and workflow solutions, will showcase the latest version of Vantage, the company's powerful, scalable, software-enabled media processing platform that manages all media services from the camera to the point of distribution. Vantage allows content owners, producers, and distributors to quickly, easily, and cost-effectively ingest, edit, transform, package, monetize, and distribute their media. Telestream will highlight the integration capabilities of Vantage with third-party technology. For example, the new Avid Production Asset Monitor in Vantage supports MediaCentral directory monitoring and allows Vantage to trigger jobs from MediaCentral ‘virtual directories’. Also showcased at NAB NY will be Vantage Post Producer’s Titler Engine which enables the processing of NewBlue Titler Pro templates as part of Post Producer workflows for rich, animated graphics and titles. In addition, Titler Designer Pro now supports the import of Adobe After Effects projects direct into Vantage workflows. NAB NY attendees will see how the company’s iQ solutions deliver actionable intelligence at every level of the content delivery lifecycle. New updates to its end-to-end ABR video monitoring and analytics solutions enable content producers and distributors to discern the status of their video encoding and distribution infrastructure faster than ever before, thus reducing the risk of revenue loss from poor subscriber QoE. Attendees looking for a solution to help them create high quality live-streamed productions, including multi-camera switching, graphics, titles, and live encoding, will be interested in Wirecast, Telestream's cross-platform, all-in-one live streaming production software, as well as Wirecast Gear, a workstation that is fully configured for live event production and streaming (to be showcased on the Broadfield booth, N119). The easy-to-use system allows anyone to broadcast professional live productions in a matter of minutes with a fully-configured system built for live event streaming. Wirecast Gear comes with Wirecast Pro live streaming production software and a professional graphics package. 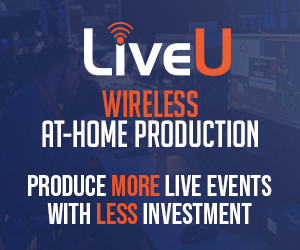 It is ideally suited for marketers, educators, corporate and online trainers, event producers, sports broadcasters, worship service staff, news gatherers and anyone who wants to deliver professional live streamed productions out of the box.